Ever thought about Wilderness Ministry as a possible career path? This Summer Internship will give you the basic skills to be successful in the wilderness and an insider’s experience on the “hard skills” in running and managing a Wilderness Ministry. The Summer Internship positions are very competitive because SROM accepts only two individuals each summer. If you are called to this unique experience, apply early! We accept Internship applications through March 1st, and begin conducting interviews in March. After all of the interviews have concluded, SROM sends out final notifications to applicants regarding their status as Summer Interns on March 31st. Summer Interns role is a volunteer position with a monthly stipend and housing provided. This volunteer position is one where interns will assist and shadow staff at the SROM base learning the logistics of what it takes to facilitate and implement a SROM course. Interns will have the opportunity to see the entire process from advertising a course, the process of when a student enrolls to when they arrive and then go back to their communities, and everything in between! 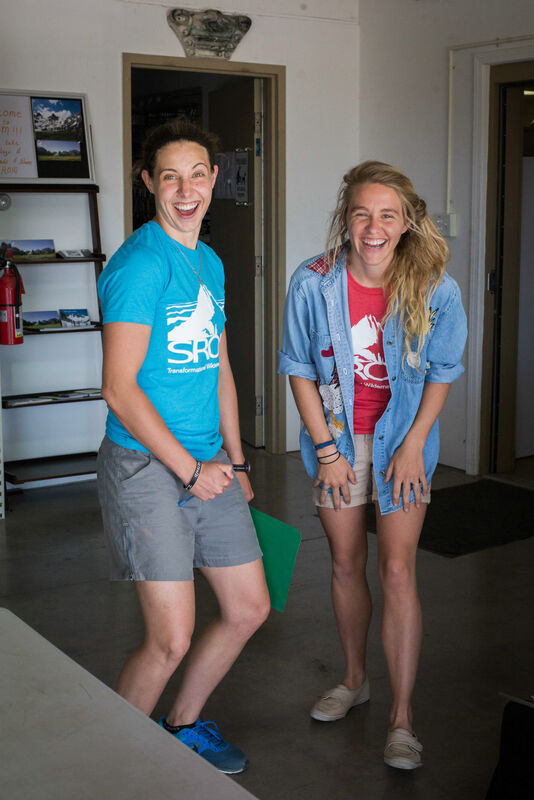 Interns will not only get to witness and participate in assisting the Logistics Staff with all of these processes, but you will also get to experience a SROM course and gain valuable professional development through being enrolled in the Wilderness First Responder and participating on the 10/10 Adult Climbing and Backpacking course as a student. This Internship really gives a broad understanding to what a Wilderness Ministry in action looks like and experience the transformational time in the wilderness as a student. Interns will participate in outdoor and adventure activities as a team and a community. However, these activities are not the focus, but rather the means for growth, challenge, and refinement. Spiritual growth will come as the group discusses the lessons learned in each activity. The arc between each lesson learned and the practical application to life becomes a catalyst for revelation and change. Our prayer is that this experience will lead to a renewed identity in Christ, confidence, restored relationships with family and peers, and leadership development. Students are provided with daily “TAG” time – Time Alone with God during which they are encouraged to journal or practice classical spiritual disciplines such as Bible study and prayer. Group Bible studies, devotionals, and facilitated discussions are held typically in the evenings. Students experience a solo, which is often a time of profound discernment, learning, or revelation. Instructors carefully prepare students before the solo and facilitate processing the experience immediately after it concludes. At the beginning of the course students learn from their instructors. As the course progresses, students are expected and encouraged to teach and learn from one another. 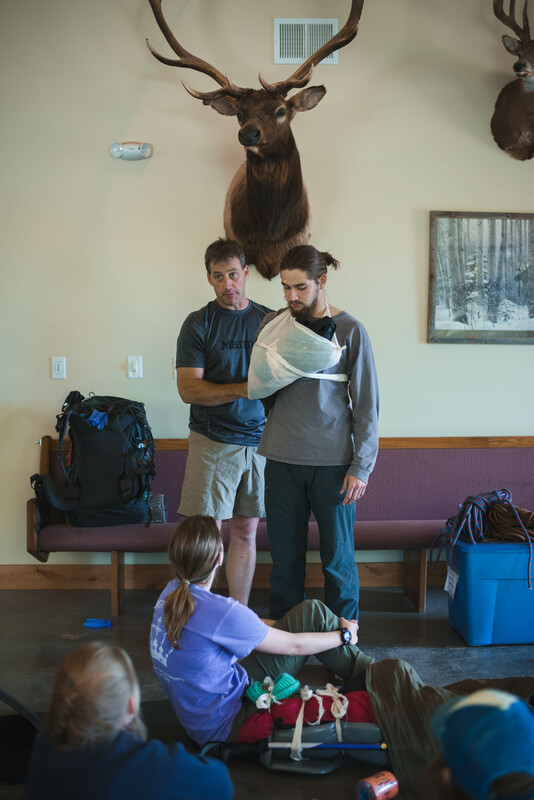 The Summer Internship offers quality medical training through the Wilderness Medicine Training Center. WMTC is an internationally recognized program that trains participants to respond to emergencies in remote settings. The 80-hour curriculum includes standards for urban and extended care situations. Special topics include but are not limited to: wound management and infection, realigning fractures and dislocations, improvised splinting techniques, patient monitoring and long term management problems, up-to-date information on all environmental emergencies, plus advice on drug therapies. Emphasis is placed on prevention and decision-making, not the memorization of lists. This course is designed specifically to provide you with the tools to make critical medical and evacuation decisions in remote locations. Half of your time will be spent completing practical skills, case studies and scenarios designed to challenge your decision making abilities. The WMTC Adult & Child CPR is included in this course. Leave No Trace includes principles and practices that prevent, reduce, or mitigate impacts of human activity in the backcountry. SROM is an ardent proponent of Leave No Trace education and practice, and a corporate nonprofit partner with the Leave No Trace Center for Outdoor Ethics (the Center). 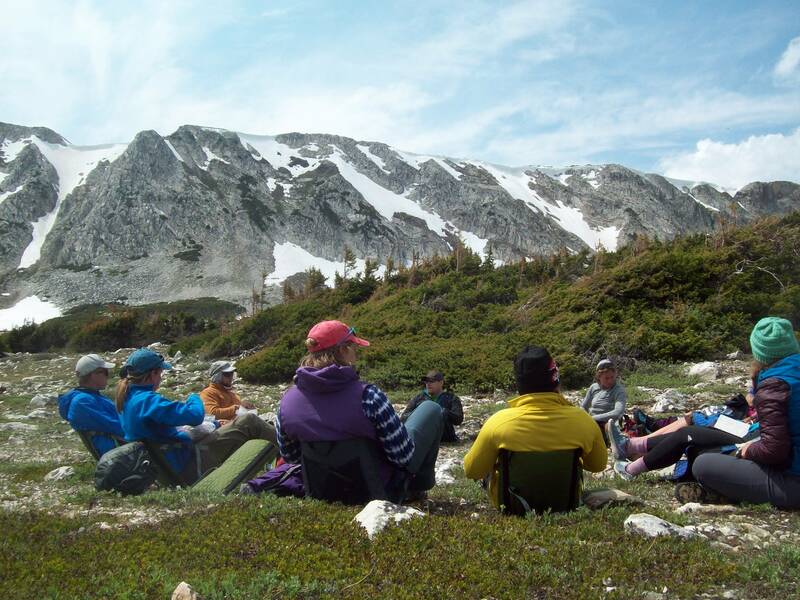 The Center serves as a national steward for a standardized Leave No Trace curriculum. SROM instructors are certified as Leave No Trace Trainers by the Center. 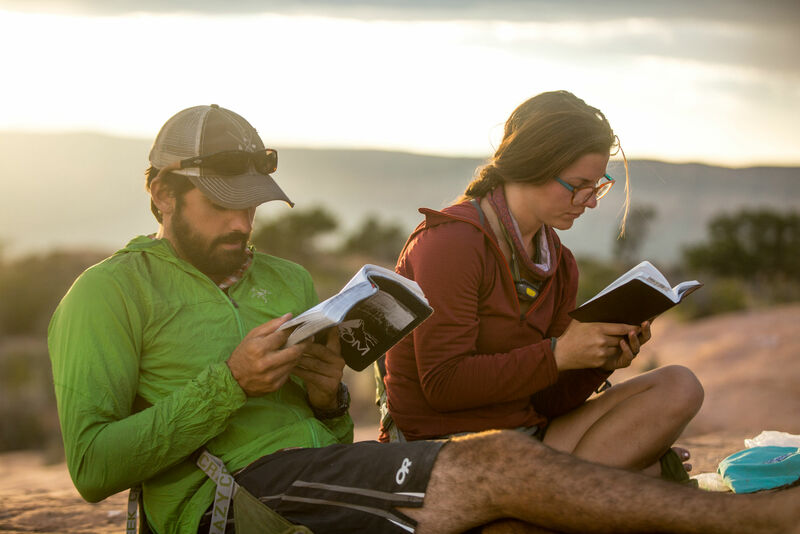 SROM provides a unique Christian version of the standard Leave No Trace curriculum by infusing it with Scripture, Biblical perspectives, and Christian tradition. The Summer Internship is held in WY, where over 40% of the State is public land administered by various federal agencies. Throughout the country, various laws and regulations govern use of wildlands managed by the U.S. Forest Service, National Park Service, and other agencies. Wildland management and environmental ethics are essential to this course. Understanding and appreciating the blessing and unique character of these wildlands guides students in the way they eat, sleep, travel, and practice their skills while in the backcountry. While on Summer Internship with SROM, students have the opportunity to earn their Leave No Trace Trainer. It is our deepest desire is to train you up so that you can be sent out. You will practice ministry, enabling you to be an ambassador for King Jesus understanding His Kingdom. The leadership and ministry skills you learn and practice at SROM are transferable to any ministry you pursue in the future. Character formation, group facilitation, leadership development, and a dynamic walk with Christ will benefit you for a lifetime. Specifically you will gain the skill set of a wilderness professional.